Philatelists or anyone interested to view a collection of new and vintage stamps can head down to the Banquitas House of Culture to view the Stamps of Belize Exhibition. Visitors will be immersing in a showcase of hundreds of stamps collected over the years, our newsteam was there and filed this report. 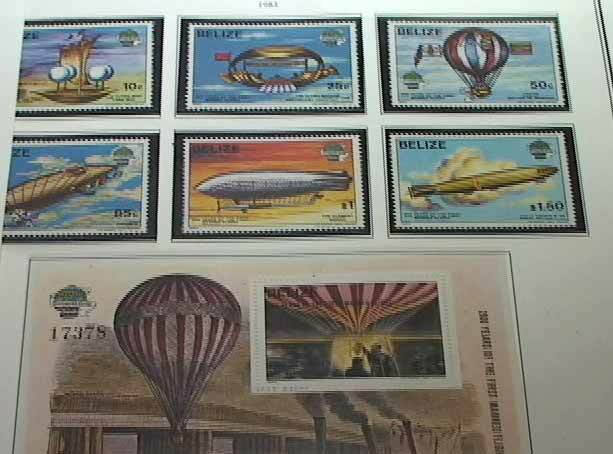 One-of-a-kind priceless stamps ranging from the Queen Victoria Era, British Honduras and the Vatican State are among the many timed pieces in this exhibition named Stamps of Belize being hosted at the Banquitas House of Culture. Philatelists or stamp collectors, Rainaldo Urbina Jr. and his Uncle Elito Urbina Sr., say the exhibit highlights the history of Belize in all its grandeur. Reynaldo’s motivator and uncle Elito Urbina Sr. started collecting these stamps a little more than 60 years and after a short hiatus; his nephew re-ignited his passion to keep collecting the stamps. Urbins says these stamps are miniature works of art and nearly impossible to collect them without gaining a large amount of knowledge. With over 250 pages of the timed-pieces, one thing is true; stamp collection is unique as it gives a pictorial depiction of life and culture of people and places across Belize and the globe. Held for the first time, the exhibition will run for two weeks from today to September 28th. The House of Culture took the opportunity to remind the public that on the 19th of September, Banquitas will be having music, giveaways in commemoration of their 12th Anniversary.